COBI. MASCOTA OFICIAL JUEGOS OLÍMPICOS BARCELONA 1992. REPRESENTA UN PERRO. RAZA PASTOR CATALÁN. CONTIENE UNA VENTOSA PARA COLGAR. PETRA. MASCOTA OFICIAL JUEGOS PARALÍMPICOS BARCELONA 1992. FUE UN DISEÑO INNOVADOR QUE SE ALEJABA DE LAS MASCOTAS EN SILLAS DE RUEDAS. ESTÁ INSPIRADA EN LA ARTISTA CHILENA LORENA BÖTTNER. COBI. 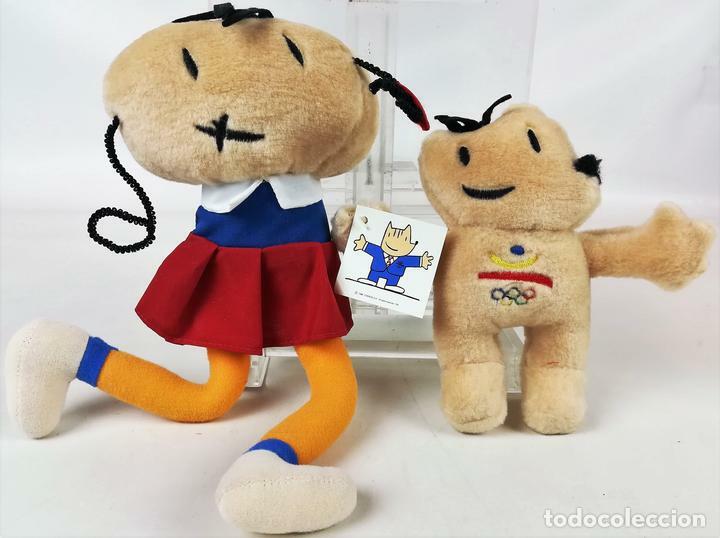 OFFICIAL MASCOT OLYMPIC GAMES BARCELONA 1992. REPRESENTS A DOG. CATALAN PASTOR RACE. IT CONTAINS A SUCTION CUP TO HANG. PETRA. OFFICIAL MASCOT PARALYMPIC GAMES BARCELONA 1992. IT WAS AN INNOVATIVE DESIGN THAT REMOVED FROM PETS IN WHEELCHAIRS. IT IS INSPIRED BY THE CHILEAN ARTIST LORENA BÖTTNER. COBI. 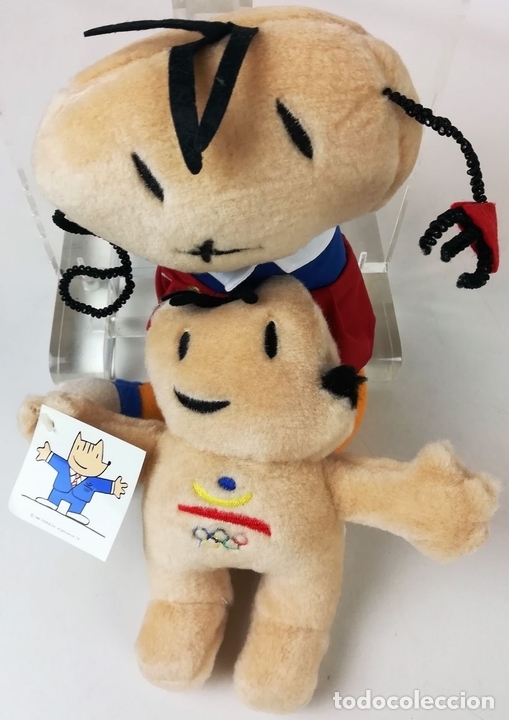 MASCOT OFFICIEL JEUX OLYMPIQUES BARCELONE 1992. REPRÉSENTE UN CHIEN. CATALAN PASTOR RACE. IL CONTIENT UNE COUPE D"ASPIRATION À HANG. PETRA. 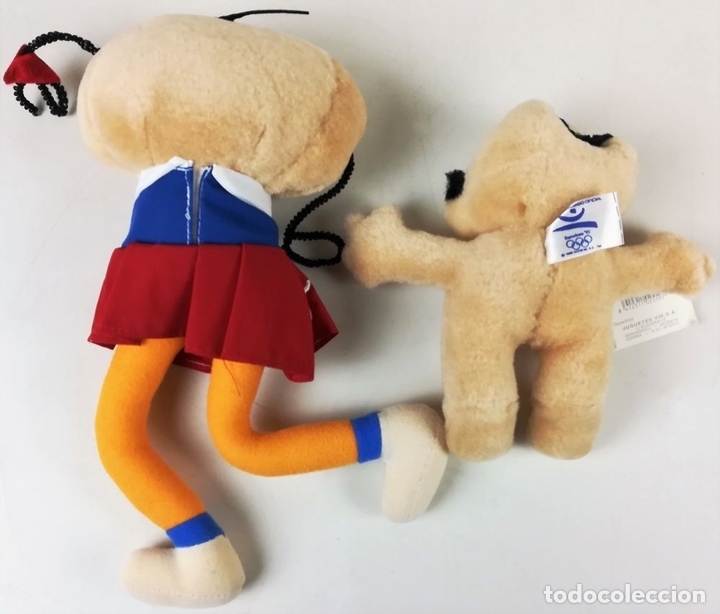 MASCOT OFFICIEL JEUX PARALYMPIQUES DE BARCELONE 1992. C"ÉTAIT UNE CONCEPTION INNOVANTE QUI RETIRE LES ANIMAUX DE COMPAGNIE EN FAUTEUIL ROULANT. IL EST INSPIRÉ DE L"ARTISTE CHILIEN LORENA BÖTTNER. Offizielle Uhrzeit TC: 01:57:15 TR: 94 ms.